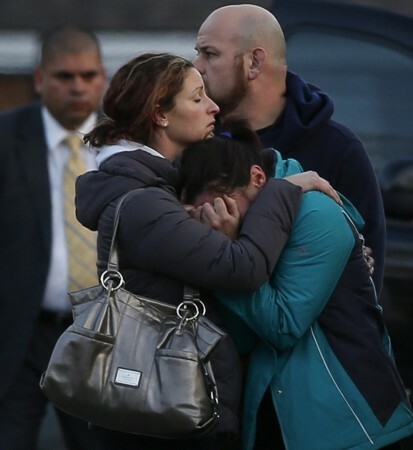 The 20-year-old man who is thought to have shot dead 28 people in Newtown, Connecticut, may have been mentally ill. The 20-year-old man thought to be responsible for the fatal shooting of 28 people - 20 children and eight adults - at Sandy Hook Elementary School in Newtown, Connecticut, has been described as a shy and intelligent boy who suffered from a personality disorder. Adam Lanza is believed to have walked into the elementary school and opened fire. He killed 27 people before taking his own life, according to a law enforcement official. The young victims were between five and ten years old. Police recovered two firearms - a Sig Sauer semiautomatic and a Glock 9-millimeter semiautomatic pistol - from inside the school, and found a .223-calibre rifle near a car. Adam Lanza apparently murdered his mother Nancy Lanza at their home before heading for the school. This is the second-worst school shootout in the history of United States, after the 2007 Virginia Tech massacre, which claimed 33 lives. The school's principal Dawn Hochsprung was also killed in the attack. Earlier reports suggested that Nancy Lanza was a teacher at the Elementary School, but this was refuted by The Wall Street Journal on Friday night. "No one has heard of her," the newspaper quoted Lillian Bittman, who served on the local school board until 2011, as saying. "Teachers don't know her." A relative of Lanza informed authorities that he had a form of autism, CNN news quoted a law enforcement official as saying. The incident has shocked the country and authorities are still trying to establish a motive for the shooting. US President Barack Obama condemned the killings, and has promised "meaningful actions" to prevent any further similar tragedies. "Our hearts are broken for the parents of the survivors as well, for as blessed as they are to have their children home tonight, they know that their children's innocence has been torn away from them too early, and there are no words that will ease their pain," Obama said in a statement.